Colleen Reed believes bonding in the barn is good for the show ring. 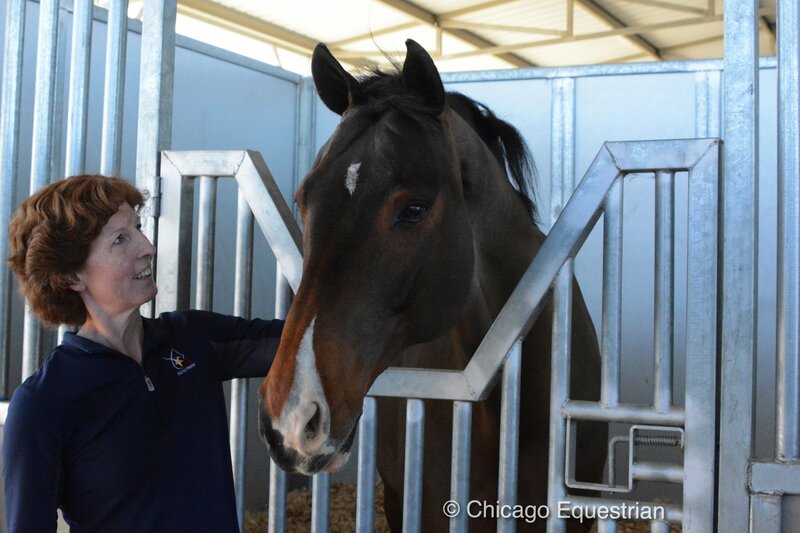 Thermal, CA - January 21, 2018 - Colleen Reed has been the stable manager for the Emerging Athlete Program (EAP), the George H. Morris Horsemastership Program, and now organizes the barn for the new USHJA Gold Star Clinics. We had a chance to catch up with her at the Gold Star West Clinic at the Hits Desert Horse Park January 18th-21st, to find out more about the behind the scenes of these new clinics taking place on both the east and west coasts with Richard Spooner as the lead clinician. Sessions include riding, stable management, veterinarian, farrier, sports psychology, media and education on the Jumper Pathway with the focus of building future teams for the United States. The clinics are the creation of the task force, which includes, Larry and Marnye Langer, DiAnn Langer, Diane Carney, Jimmy Torano, Missy Clark and David Distler, and are the start to a competition based education opportunity. Riders qualify for the clinic through the Zone Team Jumper Championships. Individual medal winners are invited to the clinic to participate in the education from experts in the industry. Riders can come back each year as they move up the ladder from the 1.10m to the 1.30m jumper divisions. Reed along with DiAnn Langer and Diane Carney, keep the clinic organized every step of the way as riders move from riding sessions to barn sessions to presentations, demonstrating perfect teamwork. How did you get involved with the clinics? I started with the USHJA Emerging Athletes Program (EAP) and still continued to do those this summer, of which I am one of three stable managers there. From there, I was asked to do the George H. Morris Horsemastership Clinic where I met DiAnn Langer, which lead to the Gold Star Clinics. I do about six clinics a year now as stable manager. What inspires you to participate in these programs? When I was young and I rode and wanted to go all the way to the top of the A circuit, I found that my love for the sport started back in the barn. I was really passionate about happy, healthy, horses, well-organized systems and good equipment. All of those things became super important to the performance in the ring. I realized that was what I could bring to the industry and go all the way, travel all around the world, get to great big horse shows and get to work for great riders. I figured that was my calling rather than to ride. Where did you start in the business? I am originally form Vernon, NJ and went to Centenary College. I majored in Equine Management and Equine Studies and from there I got an internship at Beacon Hill. It was right around the time that George Morris had Hunterdon and took the equitation kids while the junior hunters went with Beacon Hill. So I got to work closely with George Morris as well. I was taught from the ground up. I also worked for Leslie Howard for many years and I managed Fairlfield. Many times we had 50 horses on the road from the ponies to the grand prix horses and world cup horses and I loved every minute of it. When you are not doing clinics what are you doing? My husband, Dan, and I own Dandy Products – we make liverpools and other horse related products so I am the bookkeeper and in sales. We set up at shows sometimes as a vendor so I do that full time. As my children have grown and gone off to college, I have more free time to explore more of these clinic programs. What do you hope the riders take away with them after this week? That the basics and the details really matter. You can’t skip all the details of keeping the horses clean and fed properly and you have to have a system, be organized, have the equipment organized and learn time management. I’d like them to leave with that because that makes a difference in the performance in the ring. If you make your horse feel as great as they can, it can be just washing their back, getting rid of bridle marks, picking their feet, checking their legs, knowing the basics and how to take vitals, how to communicate with vets and farriers, and just be aware of your horse inside and out, then they’ll give that back to you in the ring. When riders come in for the clinic, what is the one thing you find you have to address? Grooming. I see horses just get baths and horses getting washed all the time and not getting their legs dried is not good for them. I was just in Wellington and the fungus is so bad there. Brushing instead of washing is sometimes better. I don’t see too many people currying their horse, currying tells you way more than just getting you a shiny coat, you also find out where they are sore - you are paying attention to all the parts of their body. That’s a pretty common mistake east coast to west. I don’t see enough of currying and cleaning the horses. What do you think of the Gold Star program? I love the Gold Star program! I feel when these riders are actively showing, they don’t have enough time to really learn and educate themselves as they move forward, and they miss valuable time with their horses. I think it’s really important that they take care of their own horses here. It not only gives them the great knowledge it also gives them the quiet time to bond with their horses - they miss that time with busy horse show schedules. I think the Gold Star is the next step for them because its down time for riders to learn for a whole week and it gives them a lot of information plus it gives them avenues and pathways to consider if they want to stay in the industry as professionals or continue for the rest of their lives. There’s so much great information available for them at this clinic. Do you build team spirit back in the barn? Absolutely, regardless of whether they are riding together as a team, each aisle can be a team and you have each other’s back. You are holding horses, watering, haying, raking, tidying up, helping tack up, and keeping everyone detail orientated. They get to meet great new people and that’s the fun part about the team concept. They have teams in the ring and teams in the barn. What would your suggestion be to kids considering the Gold Star program? First, be open-minded and come here to learn. Maybe it’s not the way you do it at home but there are sometimes better ways to get the job done. There are hundreds of systems out there as long as you have a good one for yourself. The second thing is to take of the horse first and also take of yourself. You have to eat, you have to drink water and take care of yourself as well to keep up with the rigorous pace. What would you like people to know about the program. This is a great opportunity for all of these participants, I think the more information they get out of it the more they can use for the year to move up and improve. They can do the clinic through multiple levels, since they can go to the (Zone) Championships and move up a division to then come back to learn more. I think people would really want this information from these great clinicians and experts. 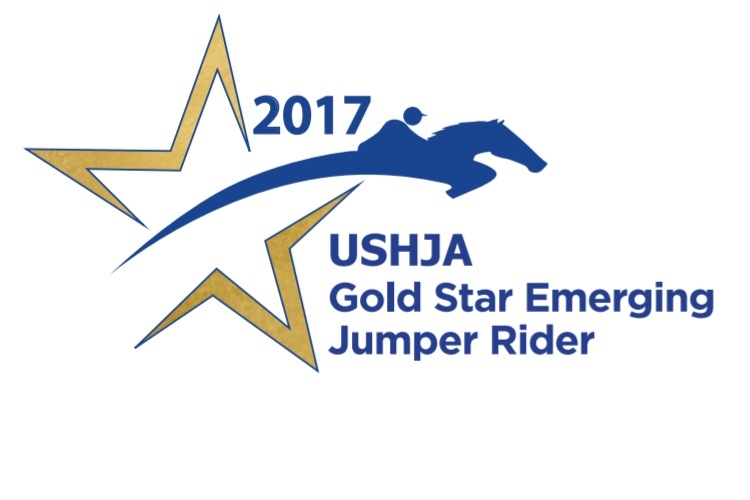 For more information on the USHJA Gold Star Clinics please visit the website at USHJA.org.